Under the Hood with Tekin’s Tj Bradley – Tekin – Smaller, Smarter, Faster! When it comes to On-road racing there are very few veteran racers still at the top of their game. Tj is one of the easiest guys to talk to in the pits, he’s consistently fast, has well setup cars, and he’s always in the hunt for the win. Whether it’s carpet or pavement Tj has put his car on the box frequently. Let’s take a look “Under the Hood” of his ROAR National Championship winning ride. Inside Tj’s Corally HMX is a Tekin RS Gen2 esc paired with a Tekin Gen2 Redline motor. Power is supplied by a RC King battery. Steering and radio equipment is by Futaba. If you look at the layout Tj chooses for his electronics you can see he’s focused on efficiency. His transponder is right up front in the car ahead of the shock tower but behind the bumper enough to protect it. In a drag race to the line, these few inches can be the difference between 1st and 2nd. Directly behind the RS Gen2 is a motor fan tucked nicely between the two components for maximum effectiveness. 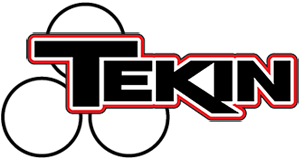 So if you’re attending one of the larger events in Tj’s home state of Florida, Nationals or the IIC race in Vegas and you see the fastest guy in the paddock with a beard, make sure you say “hi” to Tekin powered Tj Bradley!